Scholar Annette Gordon-Reed joins Marc to discuss her book called The Hemingses of Monticello: An American Family, which follows the family of Sally Hemings, who was enslaved by Thomas Jefferson and bore his children. 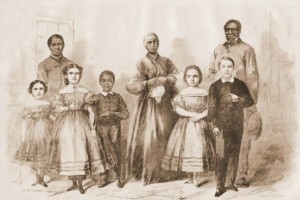 What is the historical significance of this family? What lingering doubts remain about the veracity of the claim that Jefferson fathered children with Sally Hemings?